People’s personal raw food stories and testimonials are the best way to gauge for yourself if raw food is something you need and want in your life. Below you can read what my clients have experienced through Raw Freedom’s coaching programmes and live events. 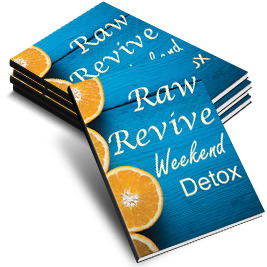 Their raw food stories are inspirational and give you an opportunity to see what the Raw Freedom experience of raw food could do for you. My own raw food story and the raw food stories of my clients is what inspires me every day to lead a consciously healthy lifestyle. 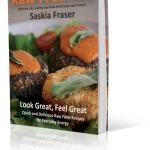 Raw Food Testimonials for Raw Freedom’s ‘6 Weeks to More Energy & Loving the Skin You’re In’ for raw food beginners and improvers. “I wanted to do this programme because I was feeling a bit down that I’d been eating a lot of rubbish and was a bit out of control especially before Christmas. I decided it was time to get a hold of things and change course. I’d done a 30 day challenge before and remembered how wonderful I felt so I wanted to do it again with more support this time. The programme was just what I needed. It gave me the push that I desperately wanted at the time. Saskia’s coaching and advice all along the way was an added boost which kept the motivation high throughout the programme. Saskia was informative and great to listen to with sound advice and help on issues that arose along the way. At the end of 6 weeks I feel really great. My skin is clearer and my weight is down by 11lbs. That is a fabulous start to the year and this has really motivated me to carry on and reach my goal weight. “A really wonderful introduction into the possibilities of ‘going Raw’ and how far reaching it is. The whole day was perfect”. “I was really glad I decided to come today – it has been inspirational and I have lots of great ideas that I can put into practice immediately – Thanks!! As well as enjoying the great food, I enjoyed meeting people with similar interests”. “Well this was my first raw food class experience and I have to say it was absolutely fantastic!! So much information, inspiration, yummy new and easy recipes. This felt like a weeks workshop in a day! “The most useful bit was getting inspired. Thoughts become things! Today has made me feel excited and well nourished”.